Registered nurse certification in Pennsylvania aids enhance the knowledge, skills, and abilities of the students and instills a sense of fulfillment. It’s very essential to obtain RN licensure, if you wish to carry out your work without any obstacles. For this, you first need to complete the state-approved program, and then, qualify the NCLEX exam. The certification in the state is issued by the Pennsylvania Board of Nursing, which aims to protect and promote health and safety of the residents. A licensure helps you garner the attention of employers, boost your earning capabilities, and displays your commitment towards the profession. Submit the non-refundable fee via debit card or credit card. Submit a nursing education verification form (NEV) confirming the program to the Pennsylvania Board of Nursing, which must be sent directly through your nursing school. Submit all the required official transcripts (if applicable). Provide Testing Accommodation Form (if applicable). If applicable, submit court documents. Provide criminal history background check (if applicable) with a detailed and signed personal explanation relating the situation and its respective outcome. Provide U.S. Social Security Number in the licensure application. 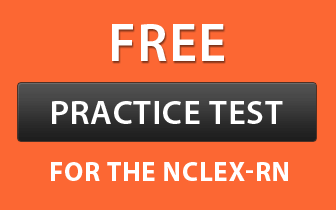 Pass the NCLEX-RN or SBTPE (State Board Test Pool Exam). Successfully complete a Board-approved registered nursing education program. Submit an official transcript which must designate the certificate, degree or diploma received indicating the month, day and year of program completion. This transcript must be sent directly from your nursing school to the Board office. www.nursys.comIf your original state of licensure participates with the Nursys, then you can verify your license using this website. If your state does not exist on that site, then, download the verification application form (Refer Verification of licensure section of this article) and mail it to the Board office. If you have completed your education and were licensed in Puerto Rico or Canada and passed the SBTPE or NCLEX-RN licensure exams in another state, then, you must request for verification of licensure from your original licensing organization where you had passed the exam, and from Puerto Rico or Canada. If you do not hold an active nursing license from the last 5 years, you are required to complete continued competency requirements. If you have completed your graduation outside the United States or Canada, you must contact the CGFNS (Commission on Graduates of Foreign Nursing Schools) and request them to send CGFNS Credentials Evaluation Service (CES) “Professional Report” directly to the Pennsylvania Board of Nursing. TOEFL iBT (Test of English as a Foreign Language Internet–based Testing) with a minimum passing score of 83 or higher. TOEFL PBT (Test of English as a Foreign Language Paper-based Testing) with a minimum passing score of 540 or higher. TOEIC (Test of English for International Communication) with a minimum passing score of 725 or higher. IELTS (International English Language Test System) with a minimum passing score of 6.5 or higher. TOEFL CBT (Test of English as a Foreign Language Computer-based Testing) with a minimum passing score of 207 or higher. Fill and submit the paper application for licensure. Submit NEV and an official transcript to the Pennsylvania Board of Nursing, which must be sent directly from your nursing education program. The transcript ought to be in English and must include the type of certificate, degree, or diploma awarded, clock hours or total credit of education program completed as well as the month, day and year of program completion. Submit appropriate licensing fee of $100.00. If you are applying for a temporary permit, then an additional fee of $35.00 is charged. Out-of-State Practical Nursing Program Graduates: If you have completed your graduation by attending practical nursing programs in less than 1500 clock hours, you must provide proof of completion of additional clock hours accomplished by carrying out various other coursework related to nursing or clinical experience. Register yourself with the website, or if you already have a MyLicense User ID and Password, then switch to the Login Page. Keep this User ID and Password for your record to use it for any further application. After logging in, select “Apply for NEW License” option placed on left hand side of the page, and choose Profession as Nursing and then click the suitable License Type (i.e. Registered Nurse) and find by Method. Provide all the requisite information and finally submit the application along with the appropriate fees. Step 2: Register yourself with the testing vendor, Pearson VUE, before or just after the submission of the licensure application for examination, in order to take the NCLEX-RN. Pay the required registration fee of $200 in the form of money order or cashier’s checksmade payable to the NCSBN (while using paper application) or via Visa, MasterCard, or American Express (while applying online). Step 3: After completing the registration, make sure you download the NCLEX® Candidate Bulletin, which provides all the essential information regarding the testing procedures and test content. Step 4: Once all the required documents are received by the Board in correct form, the Board will notify the Pearson VUE. Step 5: Upon notified by the Nursing Board, Pearson VUE will send you an ATT (Authorization to Test). The ATT validity date cannot be extended for any reason. Step 6: On receiving the ATT, contact the Pearson VUE as quick as possible to schedule the exam. Step 7: After approximately 30 days of the exam, results will be received. If you pass the exam, the RN license will be mailed to you. If you fail, you can re-take the exam after 45 days of receiving the results. Select “Board Forms/Applications” option. Next, select Licensure by Endorsement with Temporary Practice Permit- Paper Application under “Endorsement” section and the application will be downloaded directly on your computer. After opening the above link, choose “Board Forms/Applications” option. Choose Licensure by Endorsement with Examination and Temporary Practice Permit- Paper Application under “Endorsement” section. The application will get downloaded on your PC. Choose“Board Forms/Applications”. Then, select “Application for Extension of Temporary Practice Permit” under “Endorsement” section and the application will be downloaded directly on your PC.Note: Read the instructions mentioned on the form. Download and fill the requisite application and mail it to the address provided in the form. Choose “Board Forms/Applications”. Select “Licensure by Endorsement with Exam for Internationally Educated Registered Nurses” under “Endorsement” section to download the application directly on your computer. Note: Carefully go through all the instructions mentioned on the form and send the duly filled application to the address given on it. After opening the above link, choose “Forms for Nursing Education Programs” option. After that, select “Nursing Education Verification Form” and the application will be downloaded directly on your computer. If you are seeking licensure in some other state, contact the State Board of the respective state and request for the application packet and complete all the required information on the verification/certification of licensure application including your Pennsylvania license number. A fee of $40 is charged by the Pennsylvania State Board of Nursing for official certification/certification to certifying body or another state. Submit the fee in the form of check made payable to the Commonwealth of Pennsylvania. All RN licenses in the state of Pennsylvania expire in every 2 years. In order to renew the license, applicants are required to complete 30 contact hours of continuing education (CE) accepted by the Board in specified renewal cycle. For more information on requirements pertaining to CE, click on http://bit.ly/1tMNd21 and then choose “Special Notice” under RN (Registered Nurse). Click on “Board Forms/Applications” option. Select “Form to Request Change Name and/or Address or Request a Duplicate License” and the application will be downloaded directly on your PC. If you want to reactivate your RN license within 5 years of the expiration date specified on your license, then you must call the Board of Nursing Office at (717) 783-7142 and give your Pennsylvania license number. After making the request, you will be required to complete and submit a Reactivation Application with the required fees. Successful completion of a reactivation course approved by the Board which must include, as a requirement to its completion, the passing of a nursing achievement examination accepted by the Board indicating that you have a minimum of 80 percent chances of passing the licensure exam. If you meet the continuing competence requirements, next step is to complete and submit the Reactivation Application with the applicable fees.